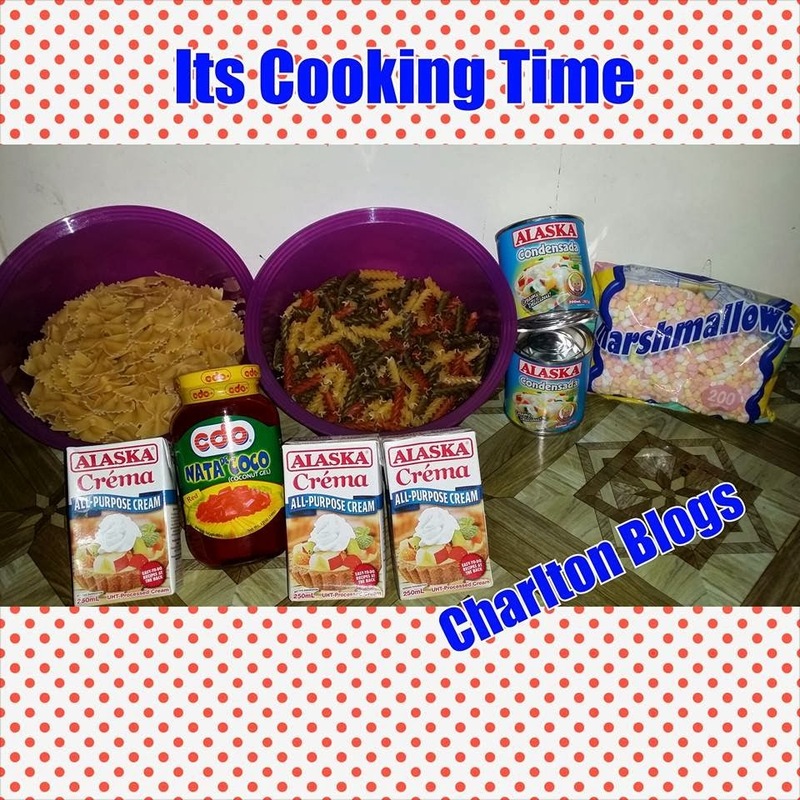 Christmas and New Year celebration actually is my favorite ever time of the year since childhood days and every time this part of the year kicks in I am always wishing for a macaroni salad the Filipino way of cooking of course. I love it because it is cheesy and definitely sweet. I actually think way back my childhood days that Macaroni Salad is a very special desert that is only prepared during New Year Celebration. I also see it on my cousins birthday celebration. Basically, I only see them during special occasions and gatherings. Cook the pasta/noodles according to package instruction. Normally though in a pot of salted boiling water add the pasta and cook for about 8 to 9 minutes. Drain and rinse under cold running tap water and allow to cool completely then set aside. Drain the red and green Kaong or nata de coco and Fruit Cocktail then set aside. Put them on a container seal it thoroughly then refrigerate overnight.